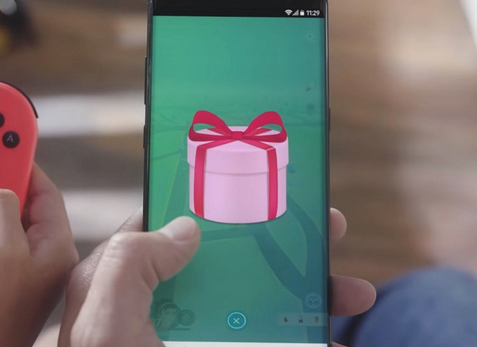 When Pokemon: Let's Go, Eevee was first revealed at the 2018 Pokemon Video Game Conference, the video containing it also showed what is said to be a Brand New Pokemon, one that has never been released before, being sent in a gift box from Pokemon: Let's Go, Eevee to Pokemon GO. The Pokemon Company first introduced releasing New Pokemon within the same Generation not too long ago in Pokemon Ultra Sun and Pokemon Ultra Moon, and it certainly appears they are keeping up this trend with this new Pokemon. The image of this Pokemon was later discovered and leaked via Pokemon GO, and it has since been revealed by the Pokemon Company as the newest Mythical Pokemon, Meltan. 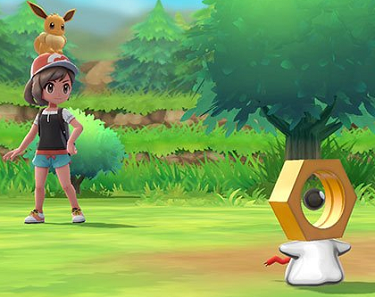 Meltan is known as the Hex Nut Pokemon, and it will be a pure Steel Type. The Pokemon Company described Meltan's Bio as the Following: "Most of Meltan’s body is made from liquid metal, and its shape is very fluid. It can use its liquid arms and legs to corrode metal and absorb it into its own body. Meltan generates electricity using the metal it absorbs from outside sources. It uses this electricity as an energy source and also as an attack that can be fired from its eye. Clearly a curious Pokémon, Meltan is very expressive and shows an interest in all kinds of things."